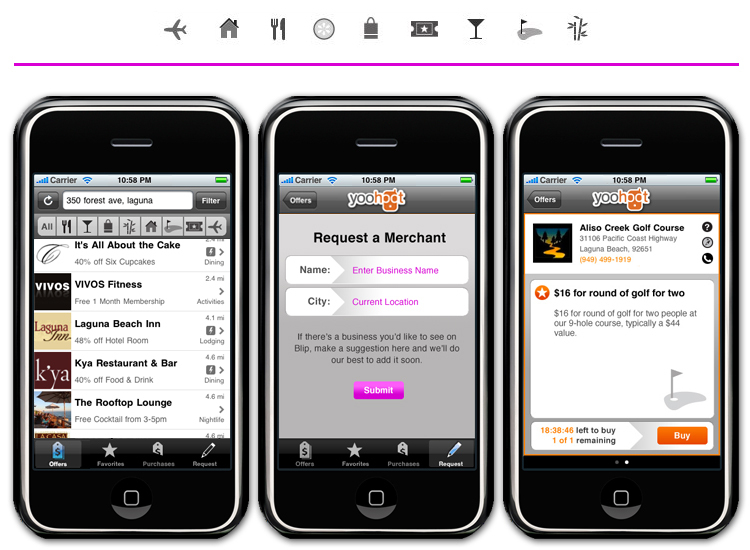 yoohoot (now renamed Real Deals in connection with OCinSITE.com) is a deal-of-the-day phone app, created for local businesses in the Laguna Beach area. They needed original icons and mobile screen UI. Want to see more of a specific project or type of project? Give me a call or shoot me an email. I like coffee and collaborating on design projects. Please do not reproduce without the expressed written consent of Megan Hug.